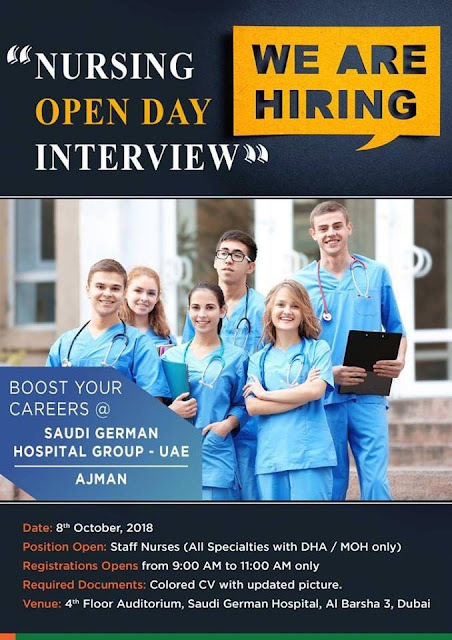 SAUDI GERMAN HOSPITAL GROUP- UAE OPEN DAY INTERVIEW ON 8th OCTOBER 2018. INTERESTED AND ELIGIBLE CANDIDATES CAN ATTEND INTERVIEW . MORE DETAILS GIVEN BELOW.